In a Gucci, Alia covers the September issue. Love the rich berry tones; she looked good on the cover! But wouldn’t it have been refreshing to see a young, edgy vibe given the rather young actress herself versus the more mature route that was taken? Also, we mean this as no diss to Ms. Bhatt but, we are rather taken aback by Vogue’s decision to put her on its September Issue. Everybody in fashion (and with an interest in fashion) knows of the importance of September issues and the prestige its covers hold. And to then give this particular cover to a (movie) debutant with no body of previous work surprises us. It may have been a coup for Vogue to have her on its cover first, but wish it didn’t have to be Sept. Guess ‘SOTY’ (her upcoming movie) has a brilliant marketing team. As long as we are on things that surprise us… How come Neha Dhupia hasn’t gotten any covers yet? OH. MY. GOD. Are you freaking kidding me??!!! My jaw dropped when the page loaded … ALIA BHATT – some random debutant little girl not only landed a Vogue cover but the SEPTEMBER issue?! What is wrong with Vogue India :| I don’t know why but this actually makes me mad. That being said I’m glad they at least got one thing right – this season’s It colour. Too bad they got everything else wrong. So absolutely sick of Bollywood’s nepotism and blatant fawning over anyone with any celeb blood history. I absolutely agree with you. A vogue cover should be something you work towards over a longer period. Vogue just degraded itself by making itself so easily sellable. Agreed, Vogue covers in every country’s edition are pure iconic and goes down in history. We buy books compiled of best covers, put up these iconic covers as posters so we can have a piece of history, beauty, fashion and photography to inspire us. This is plain shocking. Wish Indian Vogue should stop being sold to Bollywood. It’s just another Elle or something, can’t maintain the exclusivity of being Vogue. It should have never been allowed to come to India, if they would do THIS to it. Vogue in general has chosen to put on covers celebrities who will pull in readers. The film she is going to debut in will create more buzz compared to anybody else in the past or upcoming future. She is going to appear on covers and everywhere else atleast until the movie releases (and people get to see her act). Agree with every word. She does look lovely, though. Its weird how Vogue India so randomly puts movie stars as per their film releases (Not very long ago- Deepika, Diana Penty from hubby Adajania’s movie, Cocktail)… its like those Indian reality tv shows where celebs come to market their films and urge viewers to go watch it! This only means that the magazine isn’t serious about fashion or what it says (for what Vogue’s really known internationally, their fashion content). Then again, who reads magazines anymore anyway. Part of enjoying Indian fashion (and sport and television, actually) is learning to live with the Bollywoodization of it…it’s bad enough we only get a handful of covers with models on them, but this really is disappointing. I was waiting to hear y’all’s opinion on this cover after I spotted it on another site and I’m glad you didn’t mince your words. has anyone else noticed the extreme photoshopping? her thigh is not only a demented form but almost as long as the leg! OMG. U r right ! Her leg is sooo wierd. It looks like her calf but just a bit bigger. And why are september issues so important ?? Anyways, i am fed up of nepotism in bollywood. They are important as September marks the transition from Summers to Fall. LOL.. that’s the first thing i noticed. Her leg looks sooo ODD! And i agree.. she was not a good choice for a september cover. Has Vogue become the new Filmfare in town? ?Looks like Vogue covers are no longer exclusive..It’s all about movie stars than fashion which is totally sad. A debutant with an unreleased movie bags the cover of Vogue Sept’ issue? Somebody hold me while I faint.. This poor 19 or 20 something yr old girl must be feeling so blessed to be on a magazine cover she grew up liking (or through watching The Devil Wears Prada), without knowing how Vogue really works here in India. They did give Nargus Fakhri the September issue last year… they probably don’t care much about the idea of a September issue. And, Neha Dhupia should totally get a cover. Nargis was an established model (albeit, swimwear) in India before her film debut. yes, nargis fakhri was on last year’s sept issue: BUT nargis is a relatively experienced fashion model as well, and did justice to the honor of being a vogue cover girl. she’s well-proportioned, knows how to work it in front of a camera, and has a distinctive look to her. alia on the other hand, has none of these things. the neha dhupia comment – i defs agree. she does have a distinct fashion-forward presence, which would be interesting to see in a fashion magazine. I actually love that there’s a fresh face on the cover. I’m sick of seeing the usual crop of Sonam/Deepika. Also think of the interview which is content for them. How much can be hashed out after 5 covers of sonam and deepika? Not much right? She almost looks like a young Ingrid Bergman. Not bad. I would like to add that many other editions of Vogue also feature actresses whose movies are releasing in the coming months especially US Vogue. It’s a promotional tool. Besides, magazines pride on featuring a star on their cover before anybody else. Is that a leg or a thigh? Clearly, Karan Johar has connectiions. That being said, she looks WAY too young to be in a movie let alone on a Vogue cover! By the way, can someone please tell me why September issues are so prestigious and important? This is just pitiful! Can’t believe even Vogue can get ‘sold’ so easily. And frankly what a boring face!!! Yawn! well well, cricket and bollywood are religion in india. and vogue probably got this sooner than the rest….even HHC covers more actresses than models or powerwomen ;) . besides being mahesh bhatt’s daughter, she is being launched by (debatably) the most prestigious pad, KJO’s. i am a huge fan of neha and the way she carries herself, but the only place she gets covered as much is HHC….she is not close to the league of A level stars. agree that Alia should’ve been given a younger vibe … but guess Vogue was catering to their older readers. no? and what is this filmfare vs fashion mag thing? almost every fashion show has a bollywood showstopper!!! aah, just noticed the photoshopping, now thats negligent work!!!! Undenialbly…P&P yr spot on abt the cover!!! I can deal with putting actors since thats generally the norm…but a debutant…even before we have seen wat she can do in a film??? This is just terrible choice. Atleast if that movie was already a huge hit and she was rage, I could get on board but this early…she doesn’t deserve it. And I have always had a girl crush on Neha Dupia’s fashion, so I totally agree with that question too. its pretty obvious she has bagged the cover mainly due to karan johar’s influence…….. This makes me really angry too! Whatever happened to Vogue being the fashion Bible!! I won’t touch this issue with Alia who on it! I love my Bollywood, but this just seems like nepotism! Vogue india is a sham!!!!!!!!!! its not even vogue,i declined their internship for elle…………..the fashion is all rejected pieces from other editions,the editors are mere show pieces and the cover??? the september issue has its own documentary for god’s sake…………and they dare nt put Neha on the cover,she’ll tell them wats actually stylish n they’ll go red. yea,totally agree wid u guys here..vogue seems to b acting liked mrketing media rather than wt its knwn for….diana jst at d tym of cocktail,nw alia with no great body to show!! !plus absolute agreement wth u on wt u said abt d gorgeous ms. dhupia! 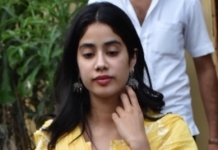 I so agree..I didn’t even know who she was until I read a few comments that Karan Johar is launching her and she is Mahesh Bhatt’s daughter…Fashion – Halt! Fashion Journalism surely has lost its voice..she doesn’t do justice to the gown at all..its like a kid trying mom’s sarees and feeling all grown up..her expressions look weird too..and checked out the teaser for this movie…which schools in India are actually like that? And when when would on-your-face gossip girl adaptation stop? Or such 19year olds stop thinking they are bit enough to be Blair only by wearing a bow headband..ufff! wake up, eeven vogue usa laumches new girls…ACTRESSES on there covers!! stop blabbing. if you love fashion, understand the mood, colour and ruffles, Stop stresses on the giel. pleeeeeaaaaaaase. oh puhleesseee…no neha dhupia n no more bollywood…i want to see our models back on the cover!!!! !enuf of bollywood everywhere….and all these magazines…they have lost their charm….i dont feel excited to read any magazine anymore!!!!!!!! and as for neha dhupia…she is always well styled…we all knw…that dsnt mean she will get a cover of such an ace magazine like vogue!wot is she doing besides ribbon cutting? The proof about what a terrible decision it was to put Miss Bhatt on the cover lies in the article itself. It has nothing substantial to say (obviously because she is just a teenage girl who loves to devour Pink villa.com) errr WOW! Karan Johar’s name seems to be mentioned more times in it than hers (no surprises there!) and on the whole it makes for nothing but a boring,uninspired “clearly sucking up to the right people in Bollywood” read. The editor of magazine has to have a voice-and a very strong voice and this September issue clearly tells us that hers is a rather meek one, drowned in this nepotistic world. It’s a pretty sad day for Indian fashion, especially if this is where we are headed. She is an average looking girl why all this ho ha about her. I dont even find her pretty.